Dan and Lex are joined by Fredric Price, the founder of Fig Tree Books and a facilitator of multiple discussion groups focused on Jewish topics , in the first episode of our series looking at what "regular Jews" (non-professionals) have built. We learn about Fig Tree Books and the various discussion groups Fred runs, and our conversation ranges across a wide variety of topics, including the advantages of connecting to Judaism later in life, how one's professional life can inform Jewish projects, and an extremely broad (and perhaps unanswerable) question -- what is Jewish literature? Access a bio of Fredric Price by clicking here. Learn more about Fig Tree Books by visiting its website, FigTreeBooks.net. Price cites a speech by Eric Yoffie, former President of the Union for Reform Judaism, as particularly influential in his own Jewish journey. Access an article about this speech by clicking here. Access the full list of books used by his Shavua Tov group by clicking here. Access a list of all topics used in his Sicha discussion group by clicking here. 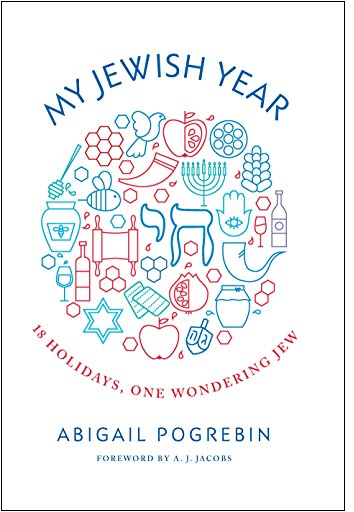 In discussing the narrow focus of Fig Tree Books, he cites the most recent book published by his company -- My Jewish Year: 18 Holidays, One Wandering Jew, by Abigail Pogrebin. Purchase the book from Fig Tree's website by clicking here. Hear more from Pogrebin by listening in to her appearance on Holidays Unbound Episode 1: Introductions, in which she discusses her book. Learn more about the name "Fig Tree Books" through the "About Our Name" section of the Fig Tree website. Access the full text of George Washington's letter to the Touro Synagogue in Newport, Rhode Island, which the name alludes to, by clicking here. If you'd like to explore the topic of Jewish literature in more detail we would recommend Hana Wirth-Nesher's book What is Jewish Literature? , which you can purchase here. For a shorter piece, we recommend "What Is This Thing We Call Jewish Literature?," a 2010 article written by Gerald Sorin for The Forward.